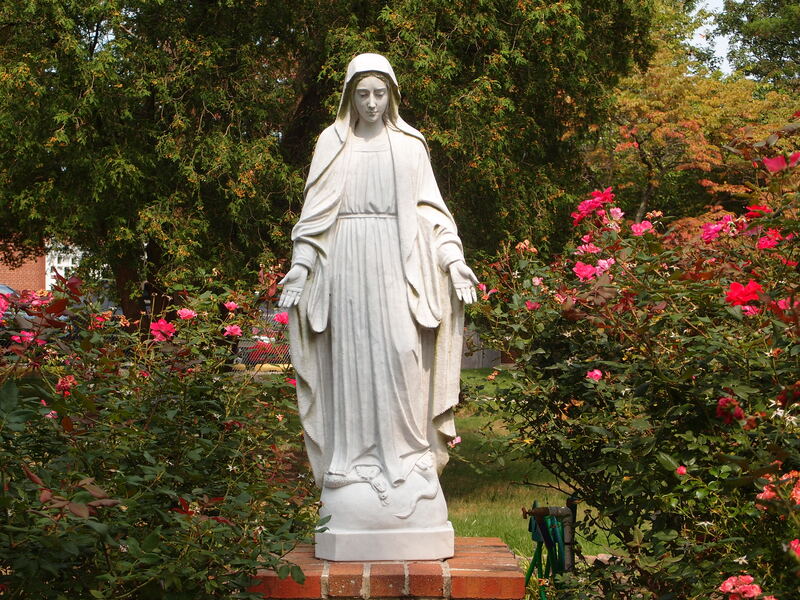 Salve Regina: Hail Holy Queen. we implore thee for thy maternal patronage. Please be the Comforter of the Afflicted, and to thee constant recourse is had by the sorrowful in their afflictions, the sick in their maladies, the dying in their agony, the poor in their straitened circumstances, those who stand in all way of need in both public and private calamities; and from thee they all receive consolation and strength. Our dearest Mother, turn upon us also, wretched sinners that we are, thy merciful eyes, and graciously accept our humble and confident prayers. Aid us in all our spiritual and temporal necessities, deliver us from all evil and especially from sin, which is the greatest evil, and from all danger of falling into it; obtain for us from thy Son Jesus every blessing of which thou see we stand in need both in soul and body, and especially the greatest blessing of all, which is Divine grace. Comfort our spirits, troubled and afflicted in the midst of the many dangers that threaten us, and the countless miseries and misfortunes that beset us on every side. This we ask through that immense joy which filled thy pure soul in the glorious Resurrection of thy Divine Son.